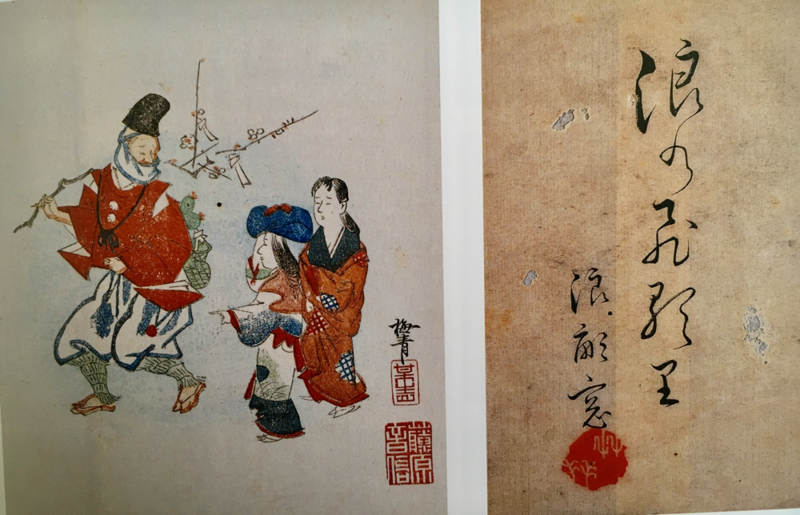 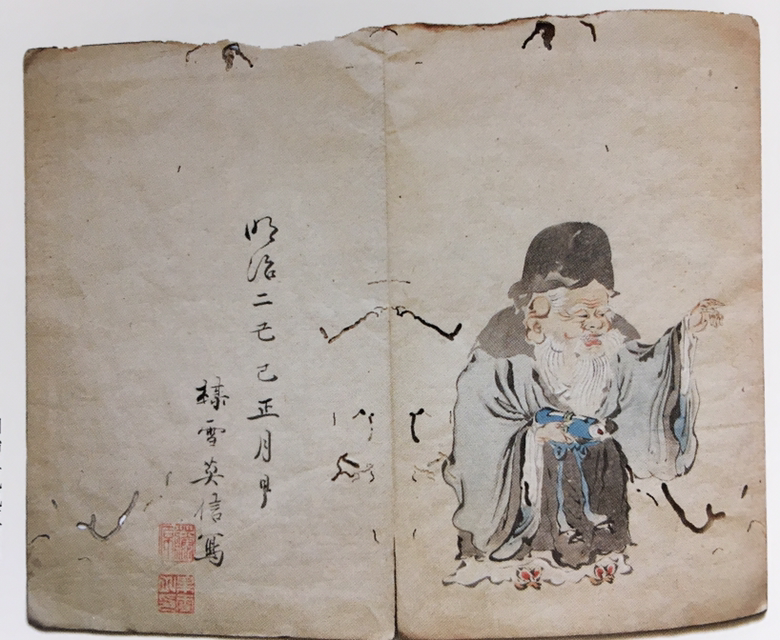 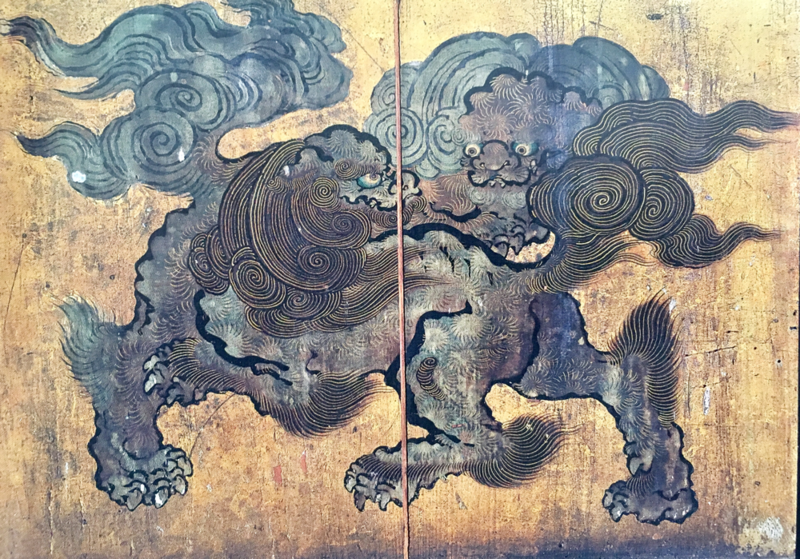 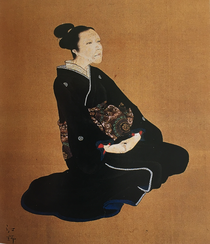 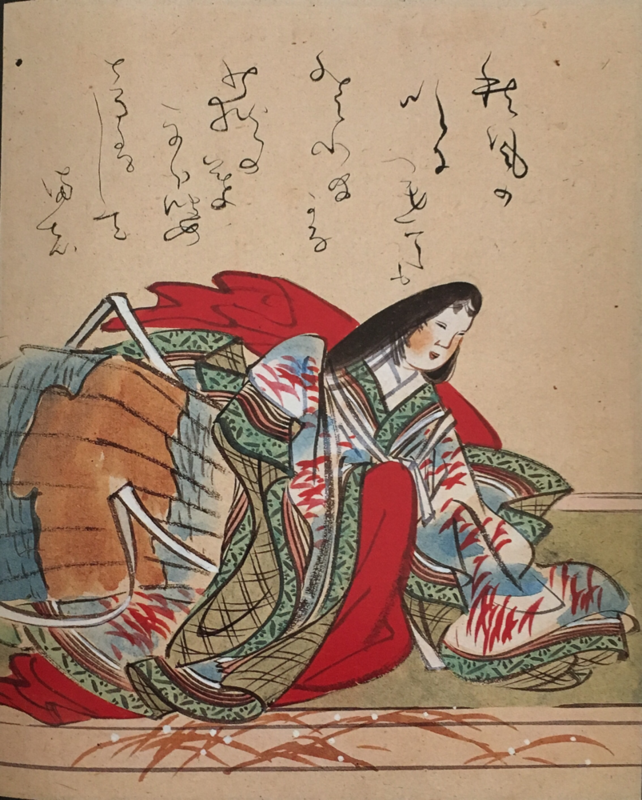 Eno Baisetsu is a painter of Kano faction in Edo period. 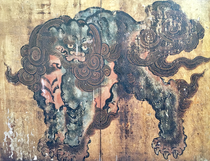 Baisetsu was born in old Matsuyama town. 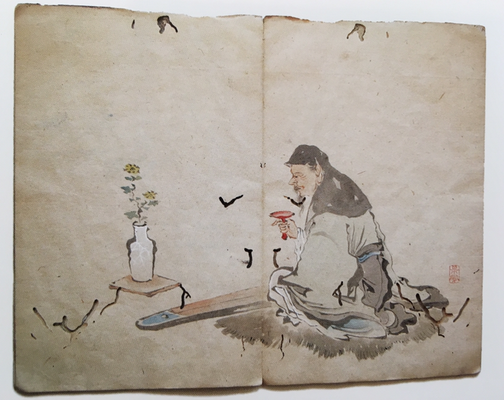 His house was famous as a wholesale rice dealer. 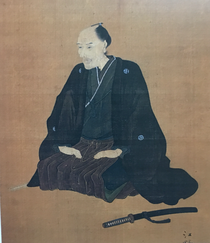 When Baisetsu was a child, his first name used to be Kamejiro. 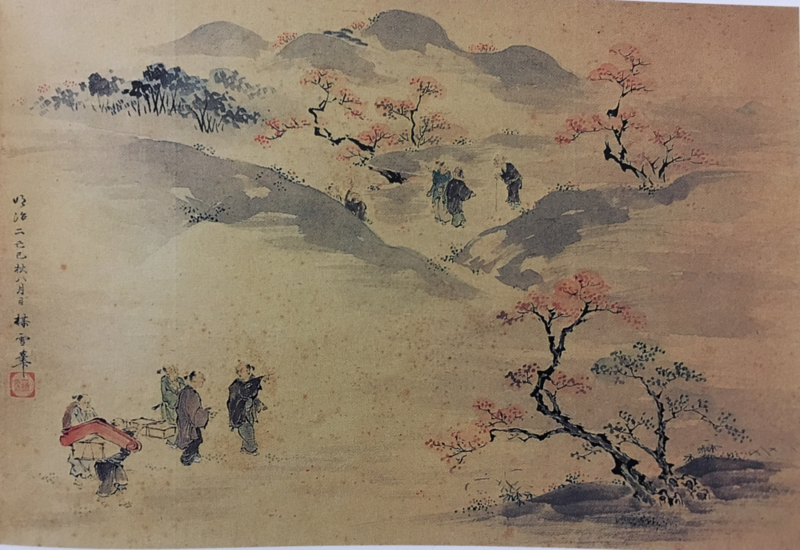 As he was not a successor of the old family Eno house, he left the house when growing and studied paintings at Kano school. 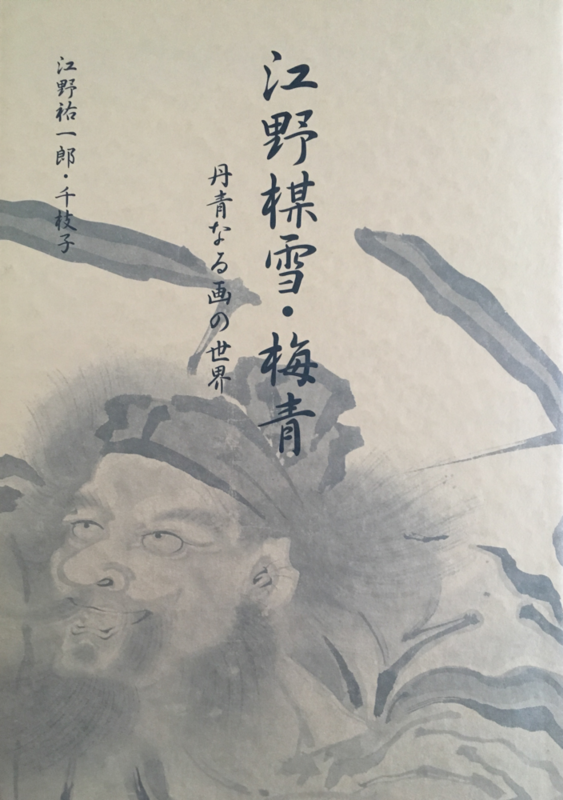 After that Baisetsu was mainly active in Kawagoe and his works were recognized in Higashi-Matsuyama, Kawagoe, Konosu and Iruma so far. 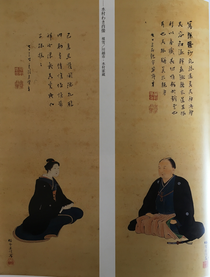 Mr. Eno and Mrs. Eno living in Higashi-Matsuyama. 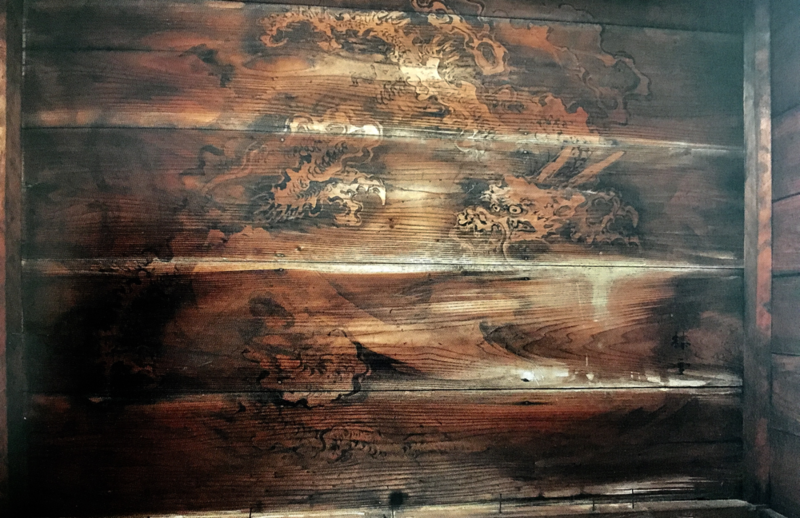 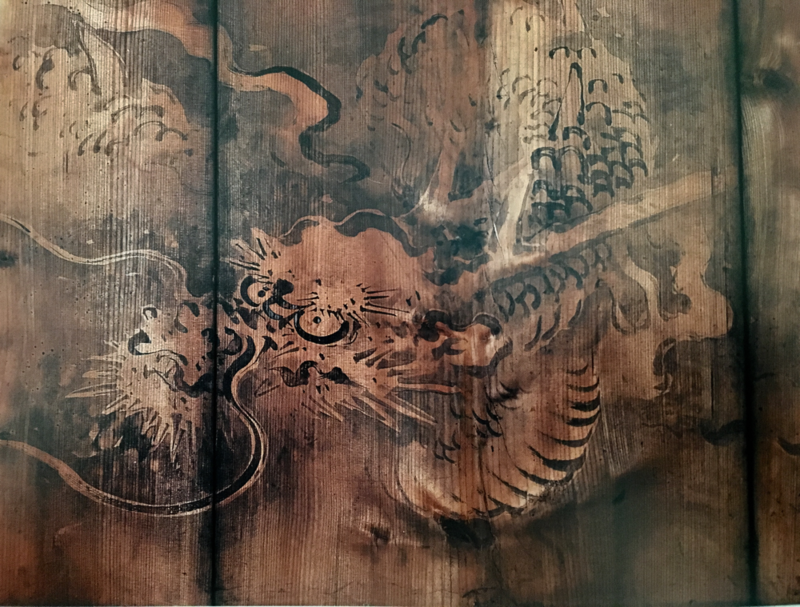 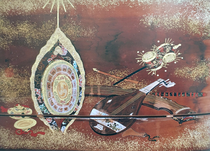 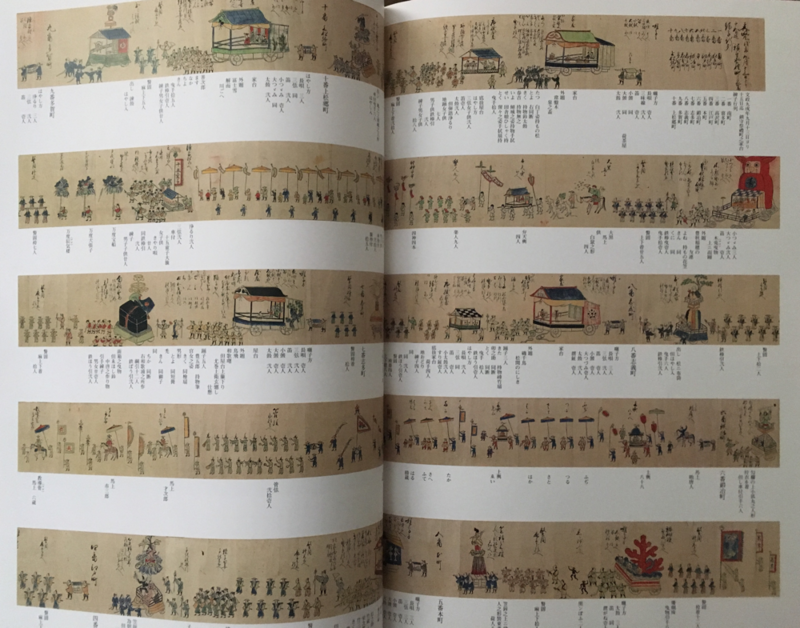 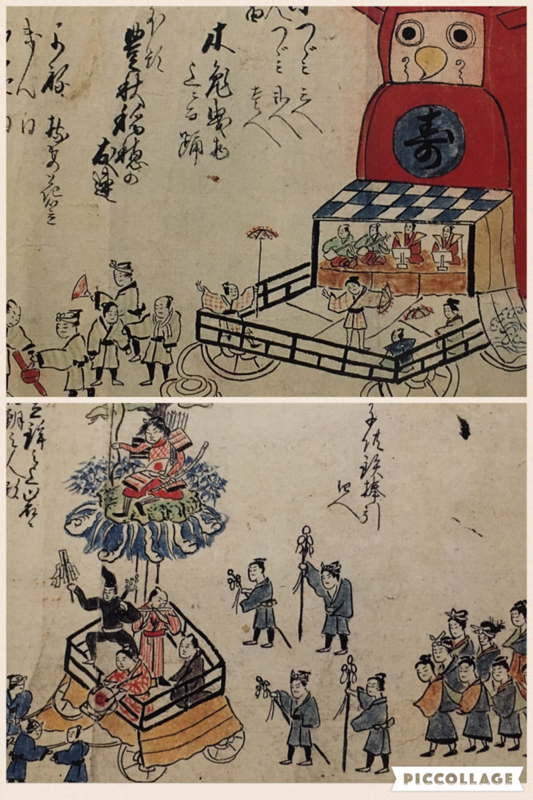 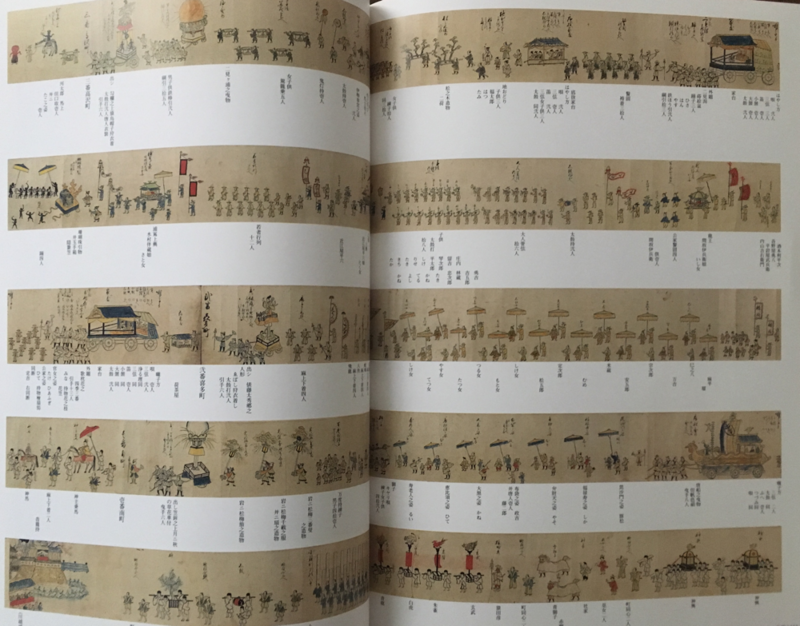 Baisetsu drew the 18m long picture scroll in 1826 entitled 'Kawagoe Hikawa festival' and this picture scroll has been designated as the Saitama prefecture's asset. Baisetsu's works have draws many people's attention lately. 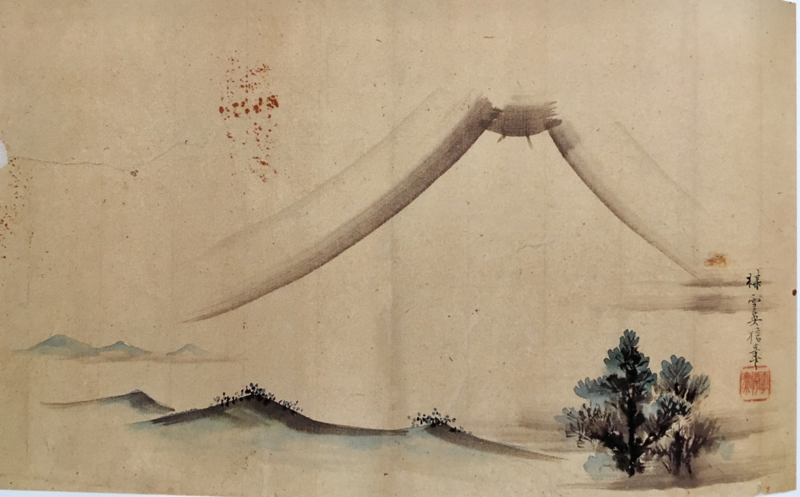 Eno Baisetsu was born in 1812 at old Matsuyama town. 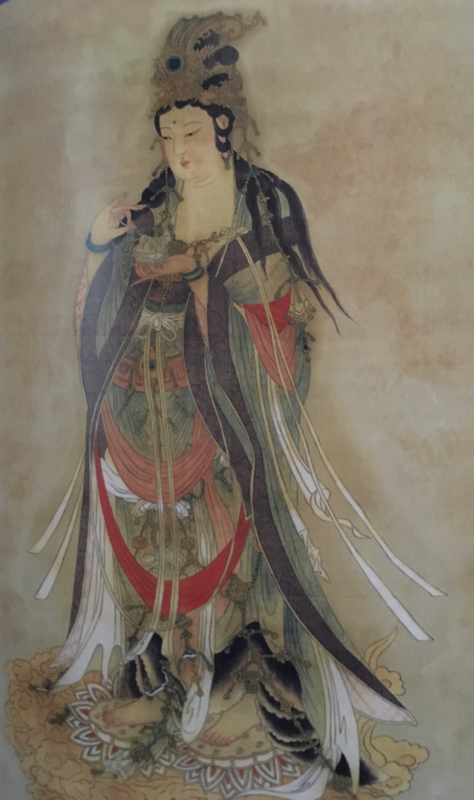 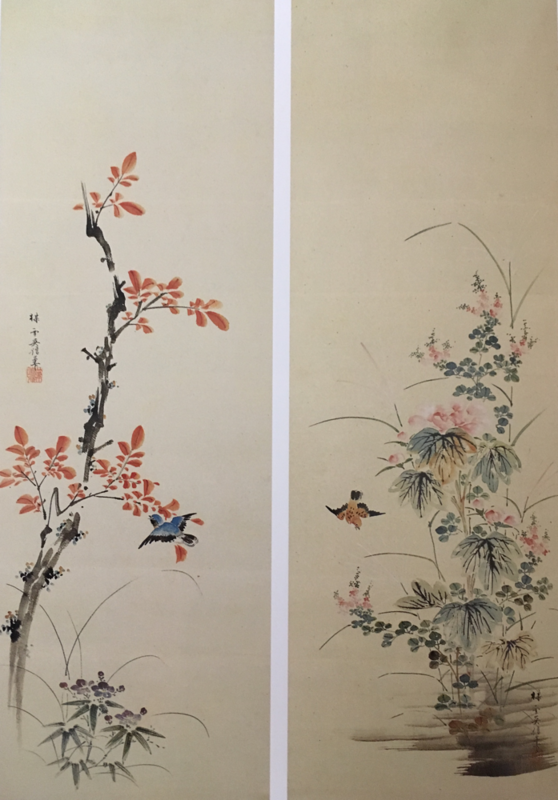 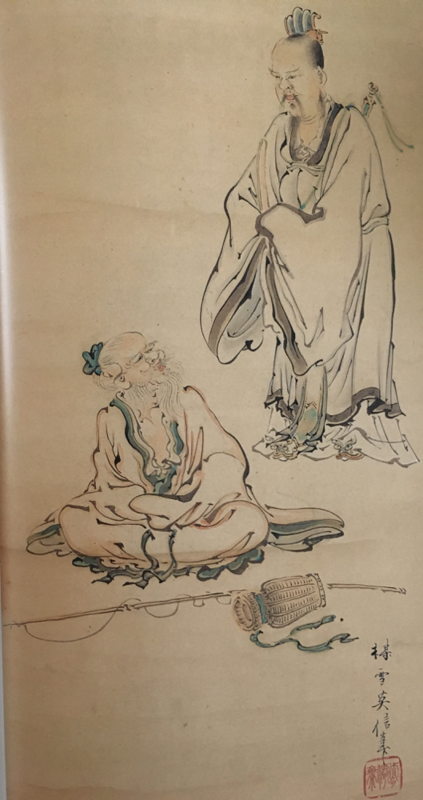 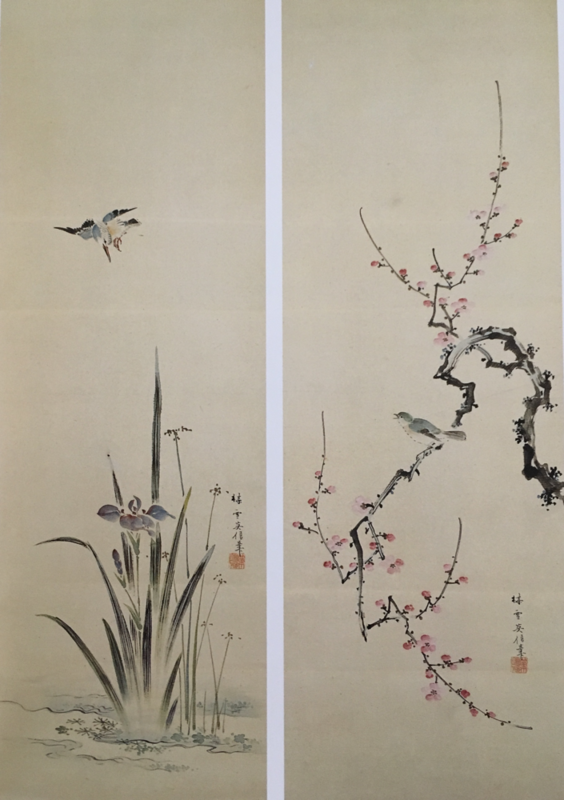 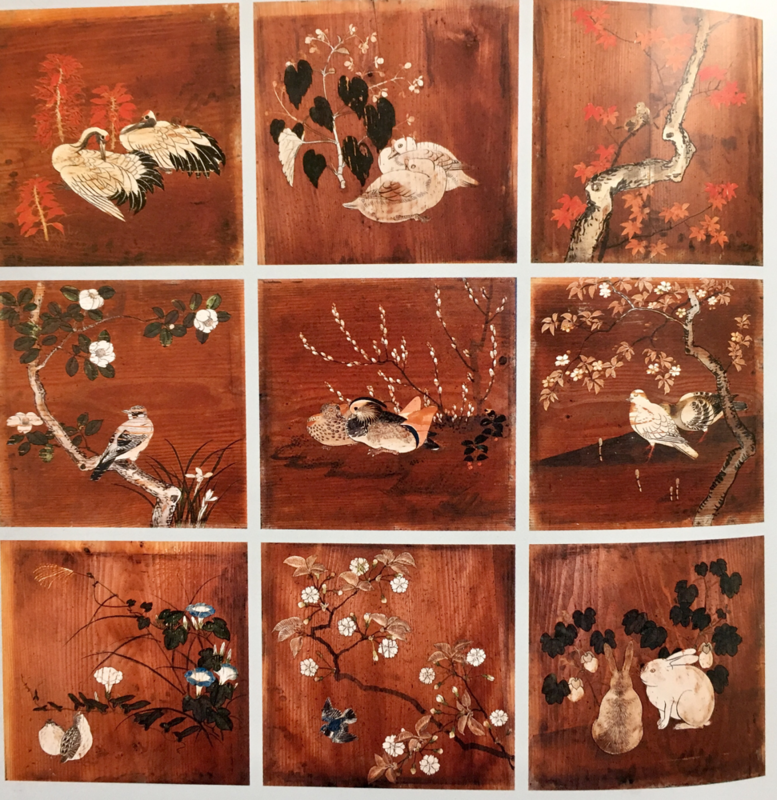 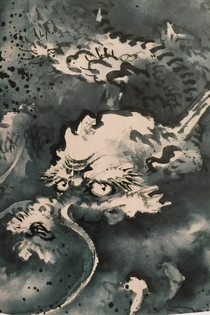 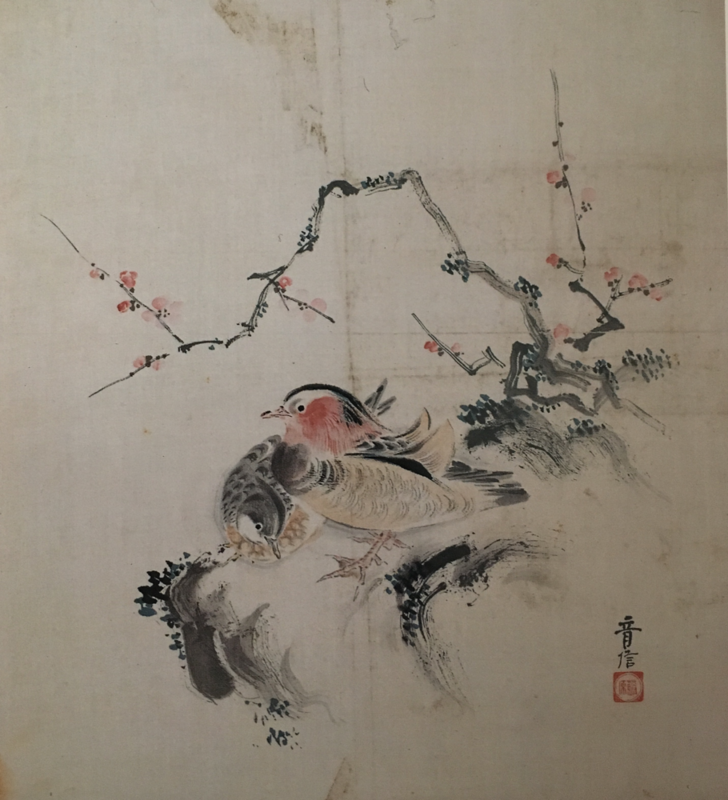 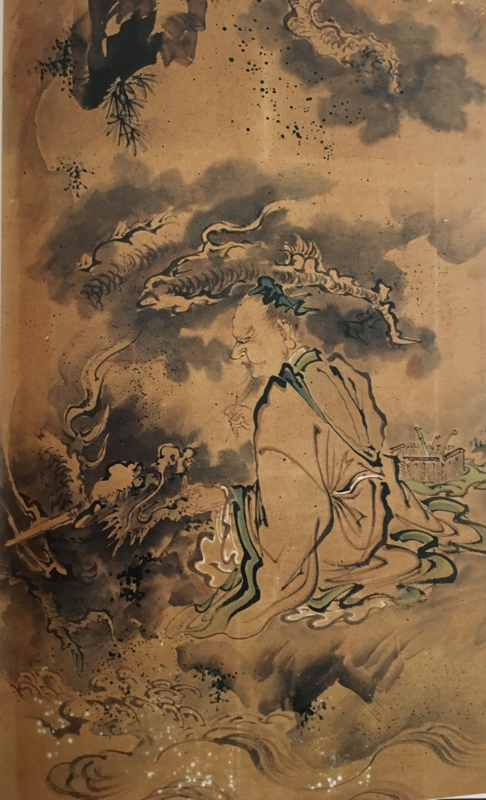 He moved to live in Kawagoe and drawn lots of paintings such as Buddhist painting, Figure of flowers and birds, Landscape painting, Figure of festival and Portrait for temples and old families. 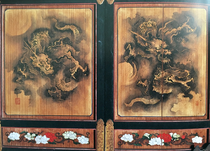 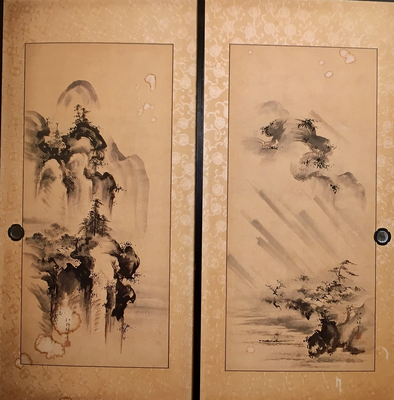 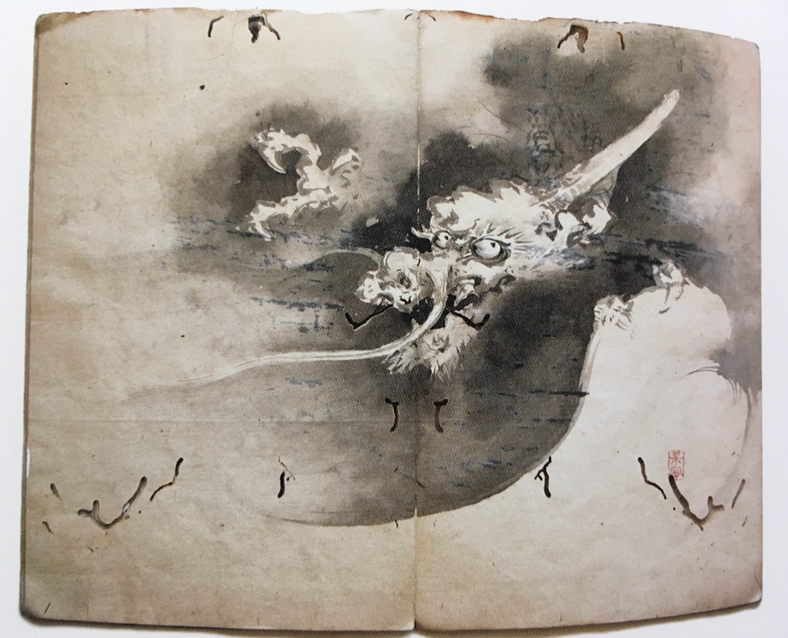 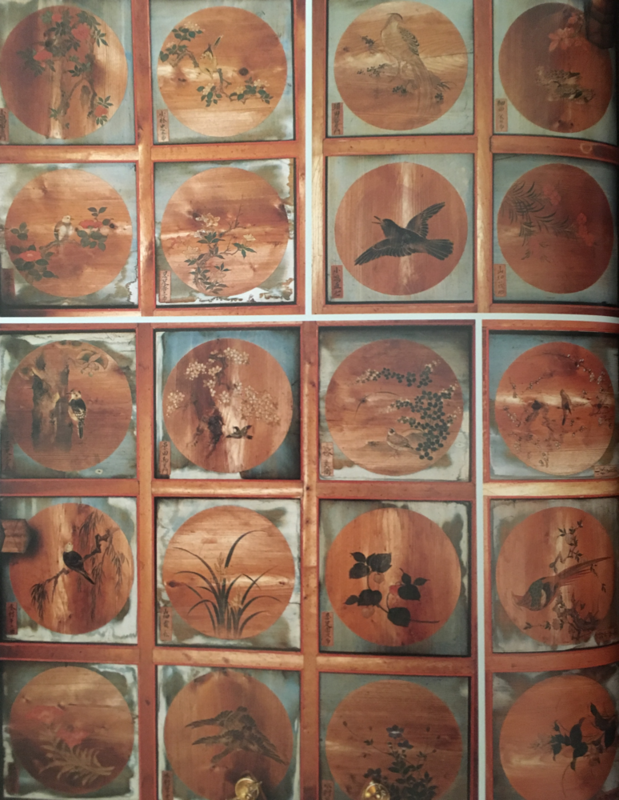 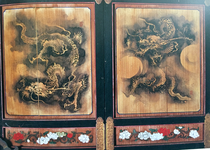 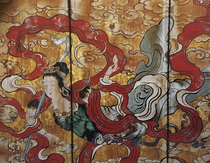 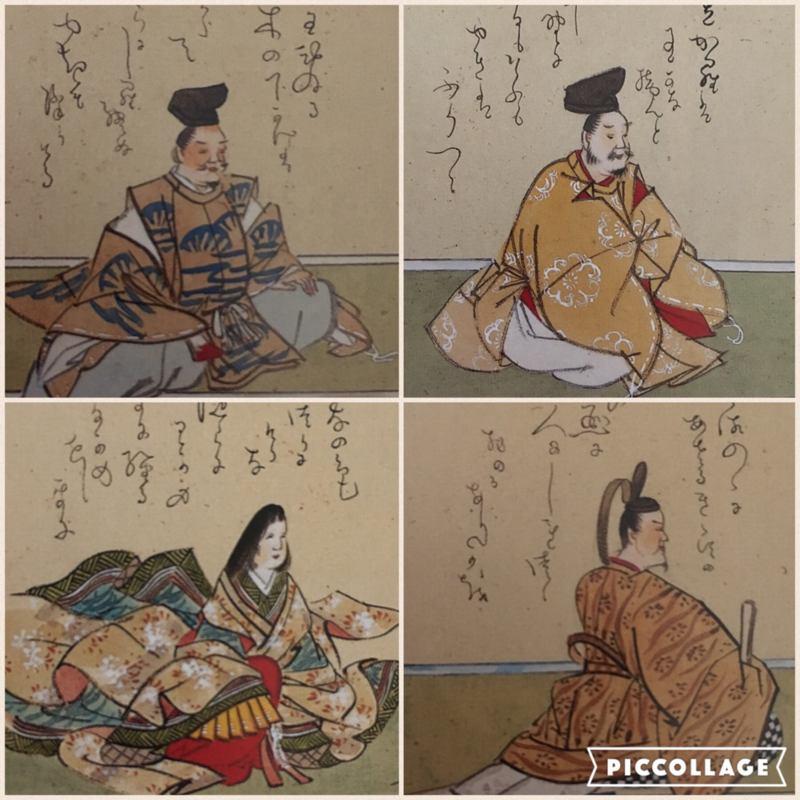 Baisetsu's painting works are recognized on hanging scrolls, ceiling and fusuma (sliding paper doors) so far. 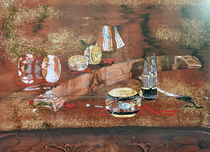 We feel so rhythmic sense on his works that he followed Kano school. 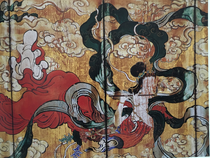 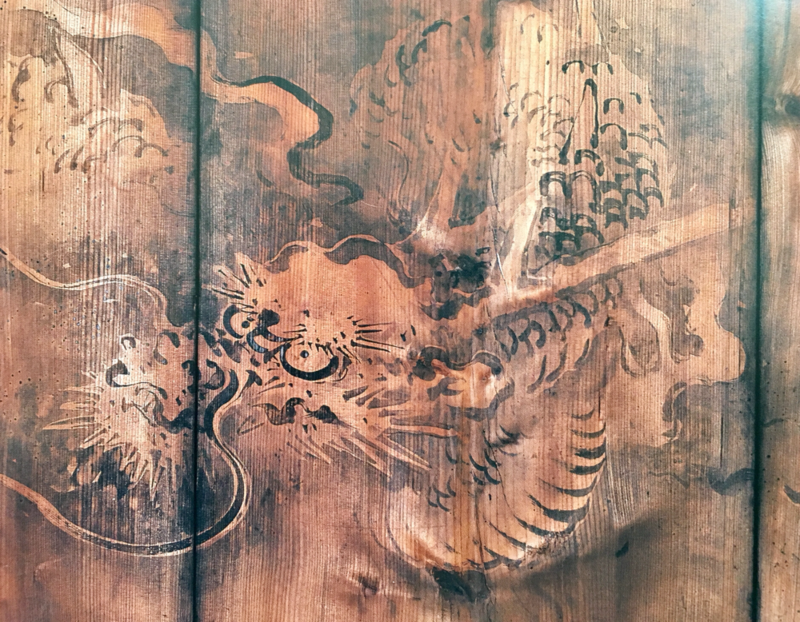 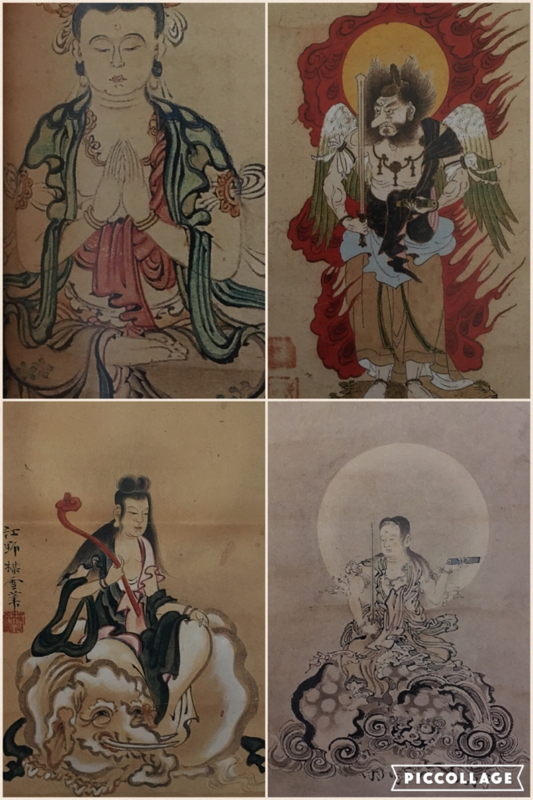 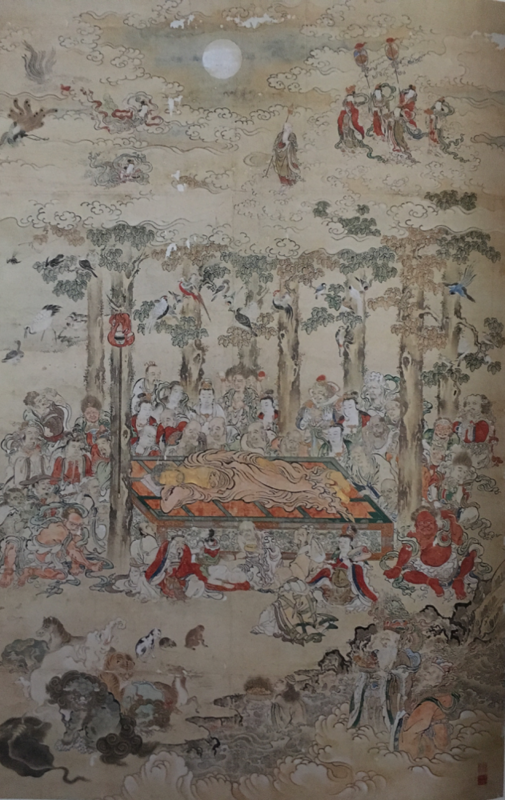 The authentic Buddha painting, "Ten spiritual reams" and "Nirvana paintings" have been preserved at Sogenji temple, Baisetsu's family temple. 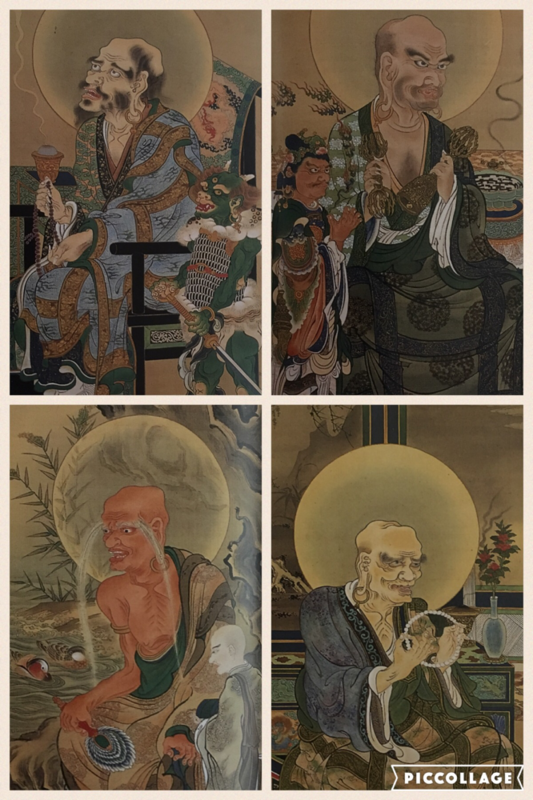 We can see many Buddha paintings drawn by Baisetsu at Koshiji temple in Kawagoe. 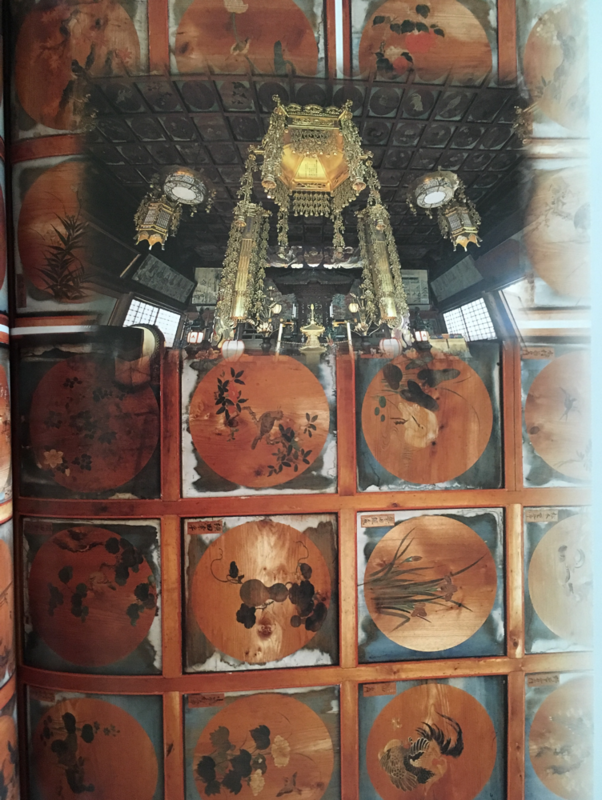 Paintings on the ceiling at Kiyoji temple in Konosu city and Rengein temple in Iruma city must overwhelm us. There are many painting works being not found as of today, they say. 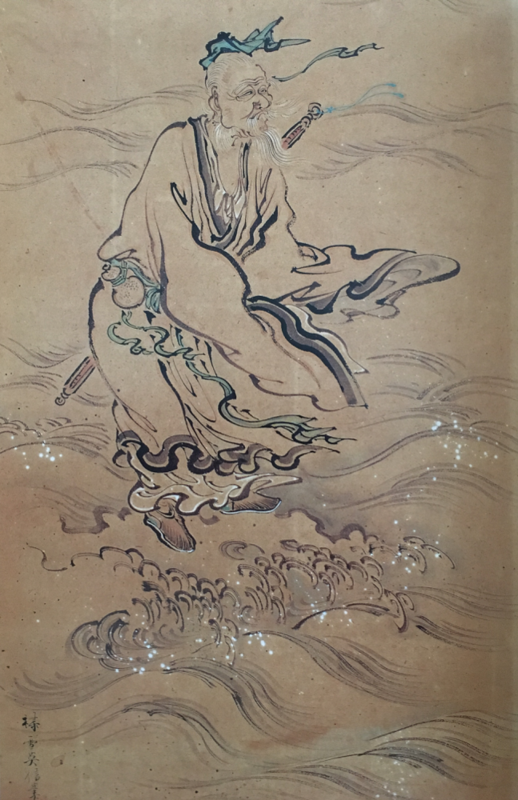 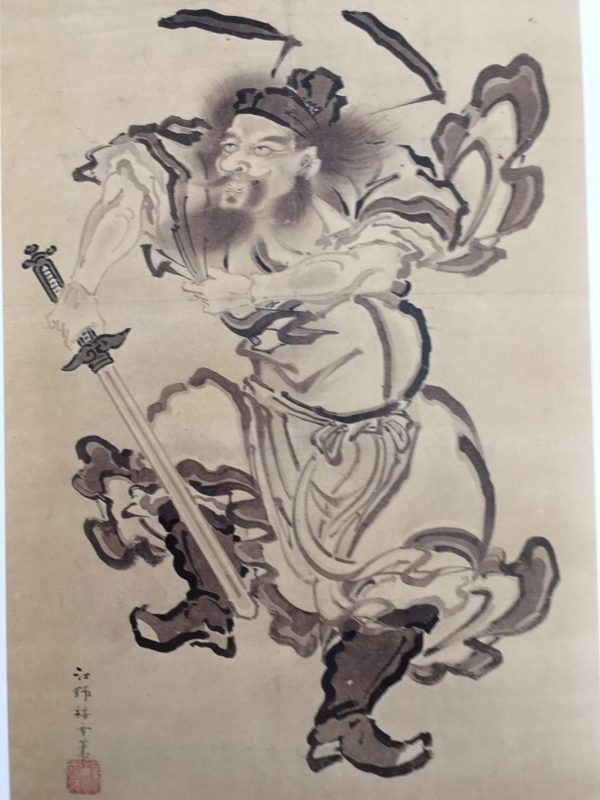 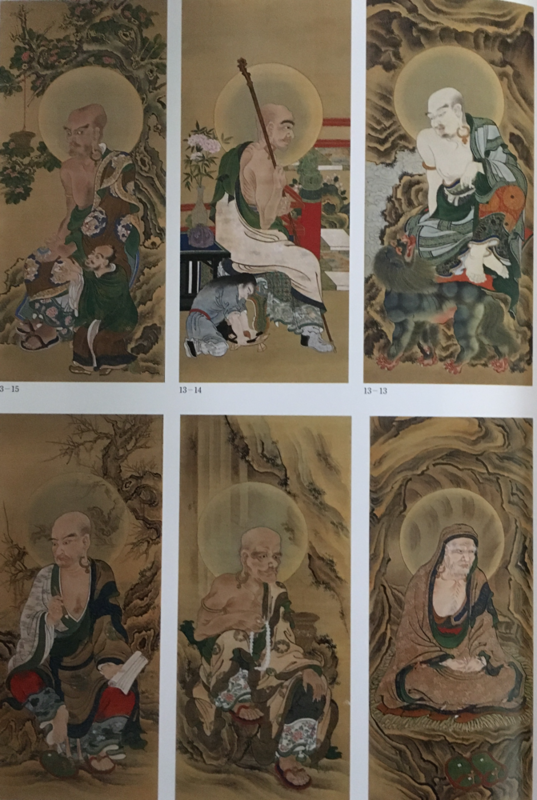 In regard with the 18 Arhats drawn by Baisetsu, he replicated the 16 Arhats Dogen brought back home to Japan from old China, they say. 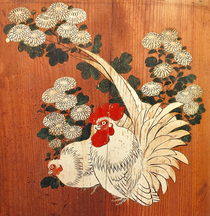 Baisetsu's works are beautiful and seem to be added value of inventive ideas. 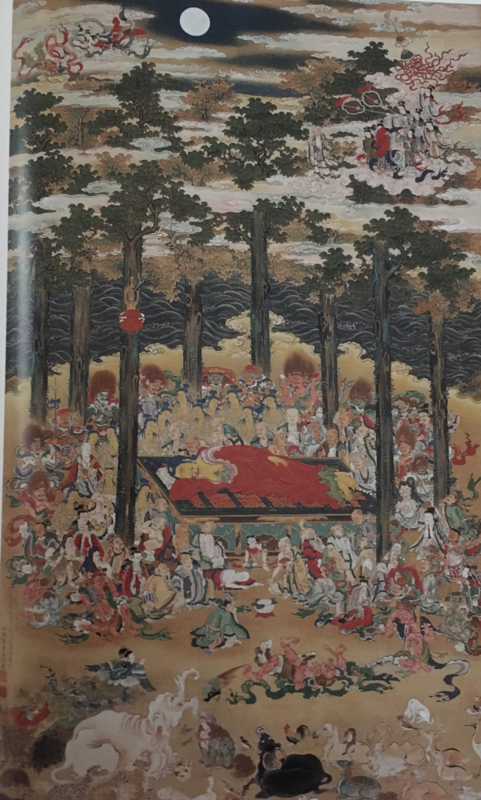 Each arhat is having a spirit dwelling in and we gaze on it for the time being. 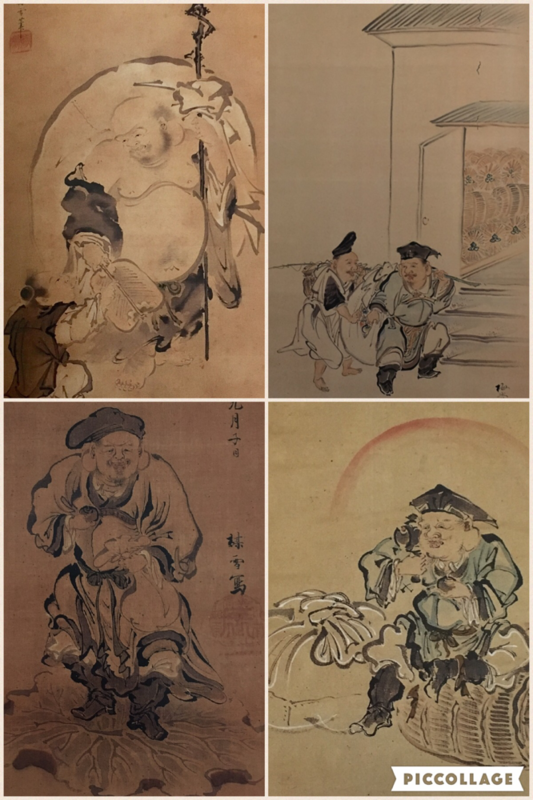 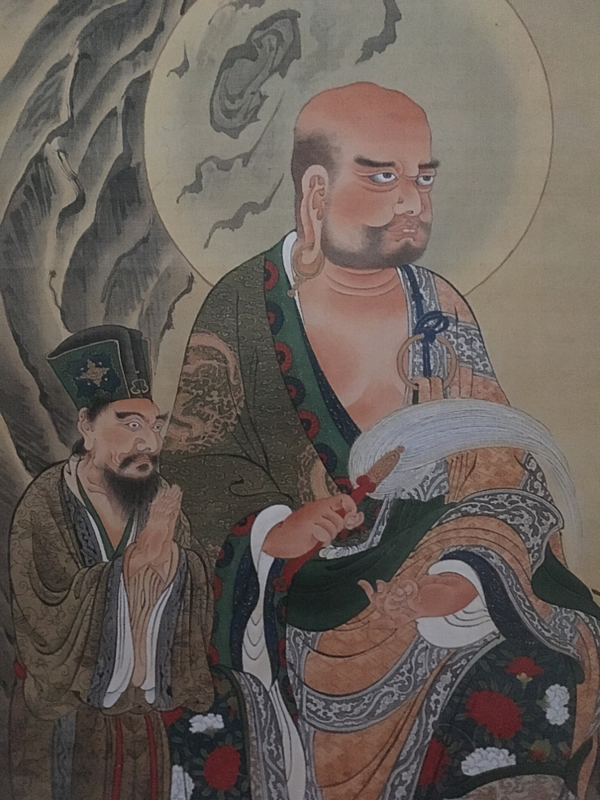 Baisetsu's 18 Arhats had been produced in the end of Edo period based on Koshiji temple's request in Kawagoe district. 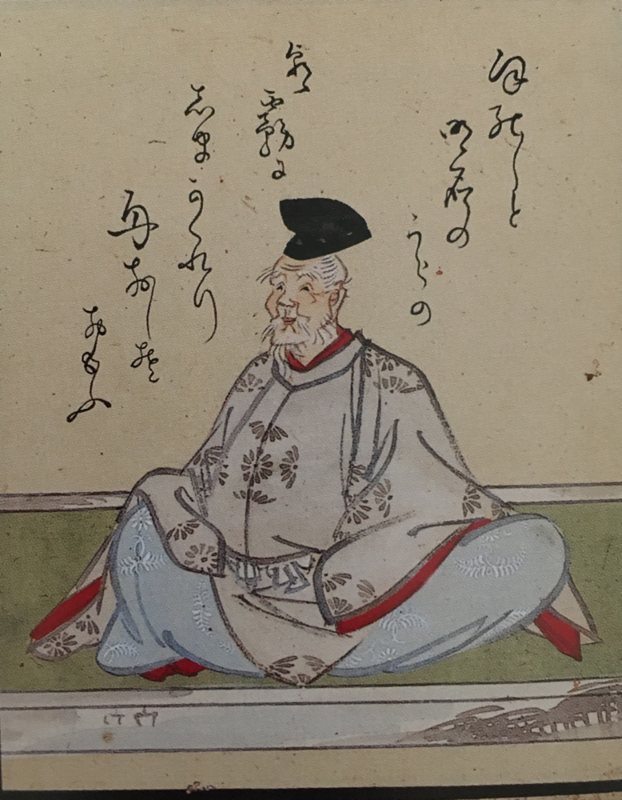 Baisetsu had no boy so that he adopted his nephew and named as Baisei. Baisei succeeded Baisetsu's painting business. 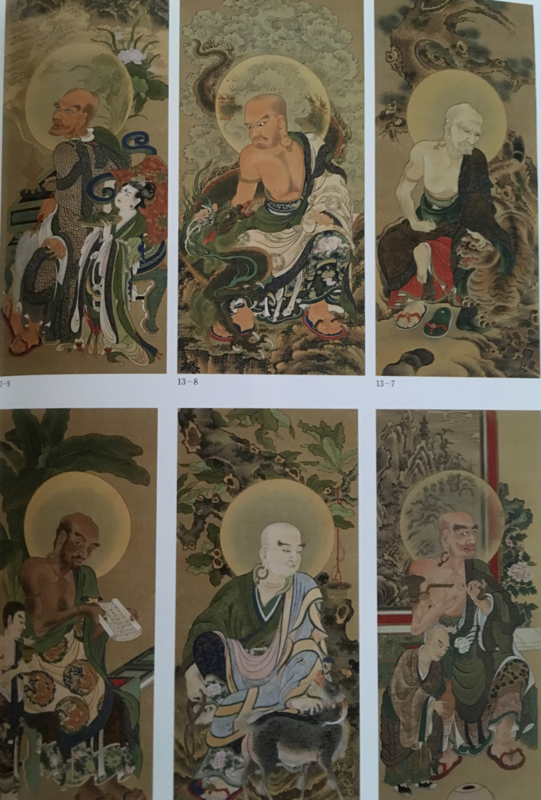 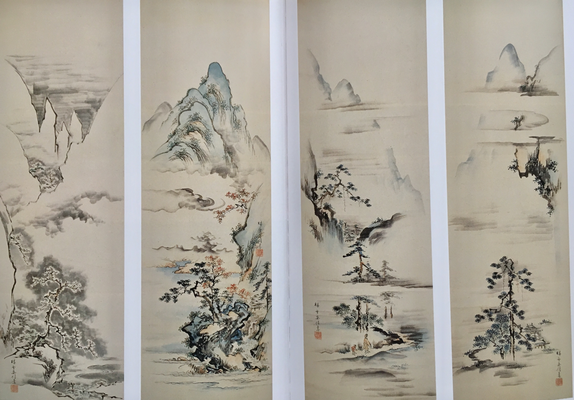 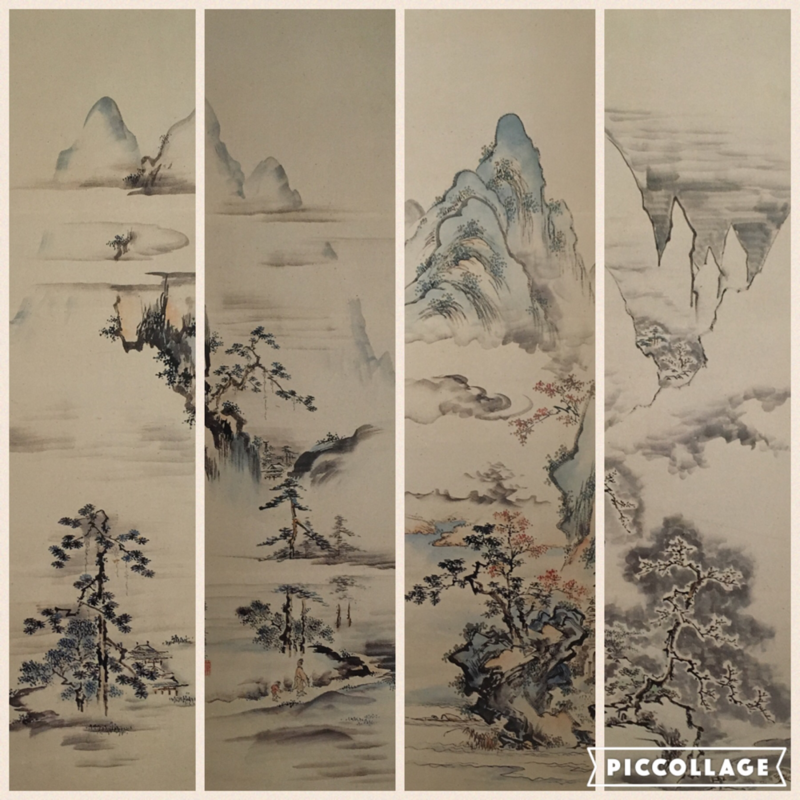 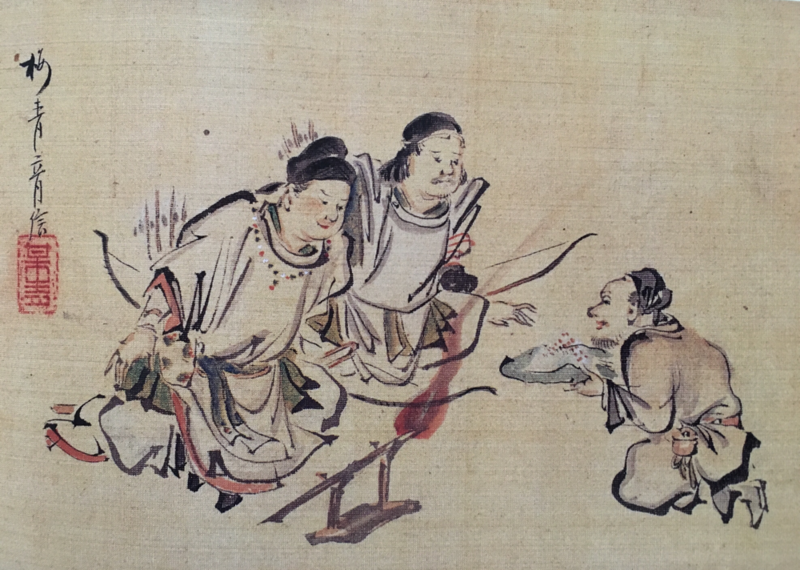 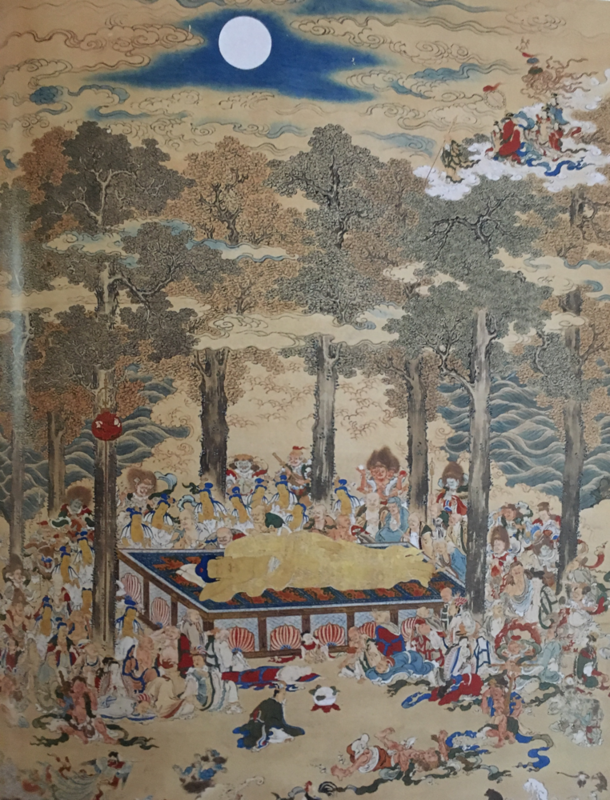 "Ten teams painting" is one of Buddhist paintings. 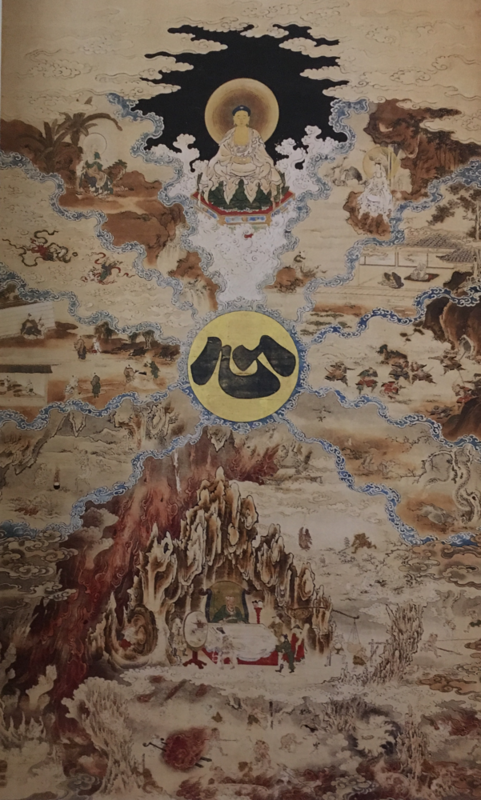 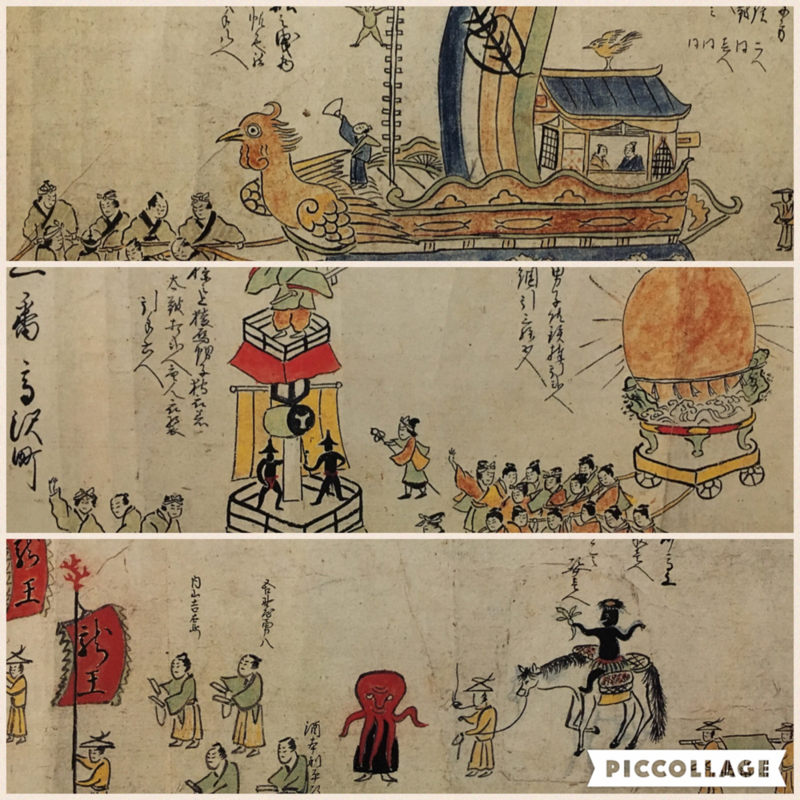 In the end of Muromachi period, 440 some years ago, a nun from Kumano district walked around to engage missionary work with this scroll painting as picture explanation with a mandala. 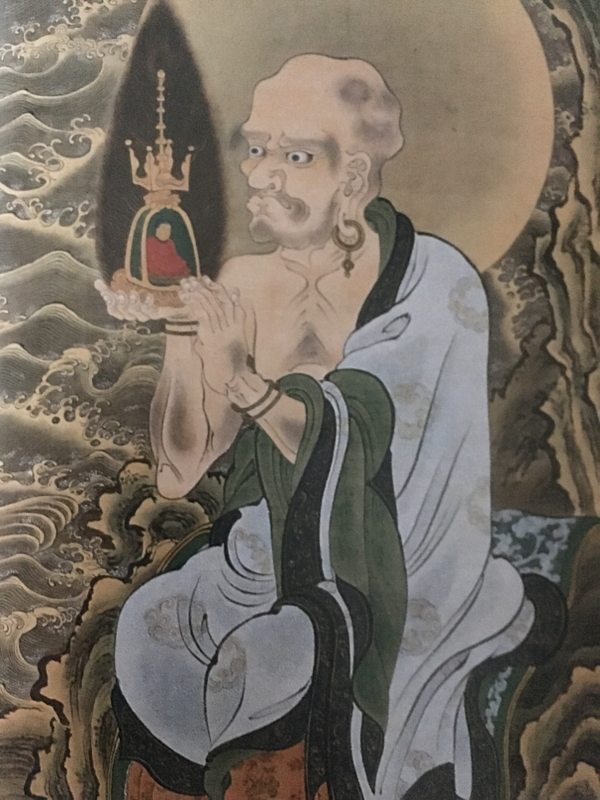 The picture holding by Eno house was donated to Sogenji temple in Higashi-Matsuyama. Baisetsu painted four Shaka's Nirvana pictures. 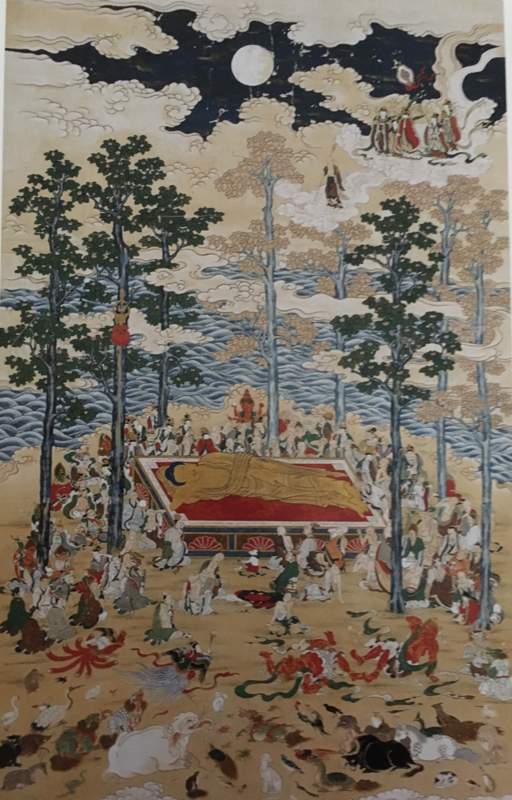 The pictures tell us Shaka Nyorai reached the stage 'Nirvana' where earthly desires were totally gone away. 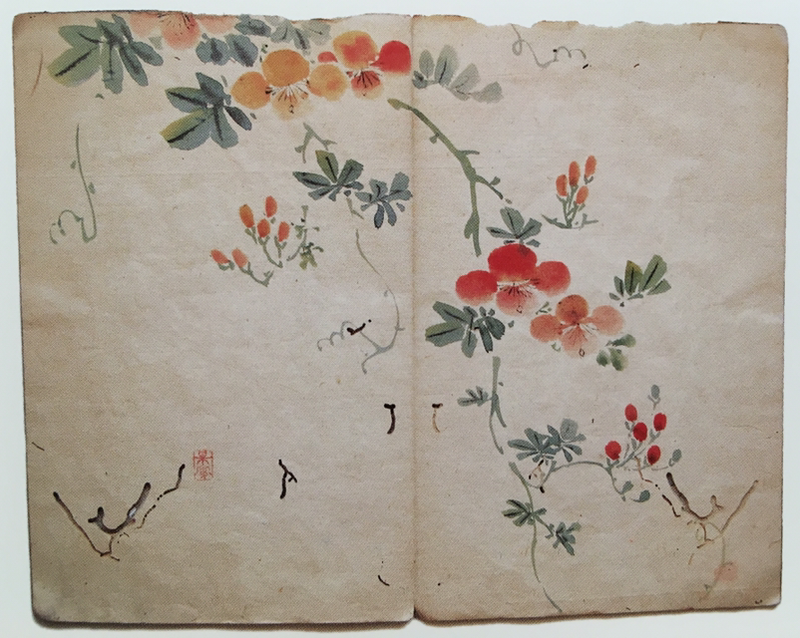 All things including people, animals and plants feel sorrow. 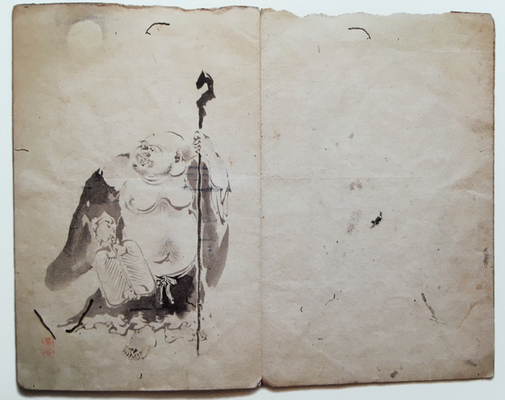 Shaka's mother, Maya looking down from heaven tossed a pouch enclosed medicine, but it was hooked on the sal tree. 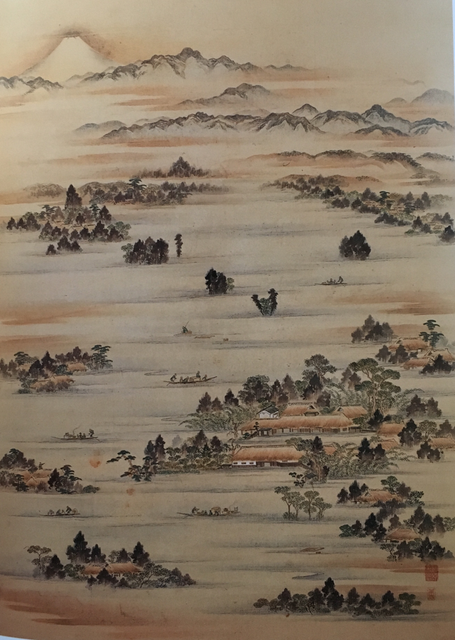 The heavy rain caused Oppe River to overflow.